A downtown Victoria intersection has been splashed with a colourful coat of paint to celebrate the city’s diversity in the lead-up to Pride Week. Pandora at Broad Street is now home to three permanent rainbow crosswalks in a show of support for the local LGBTQ community. 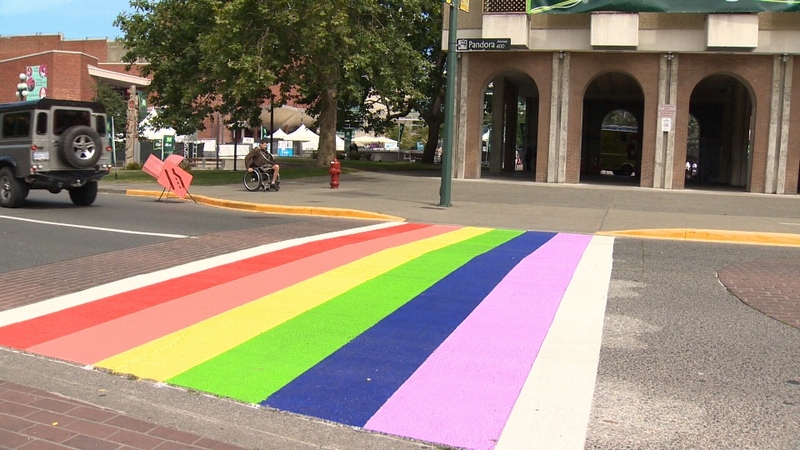 It comes two years after Vancouver installed a similar permanent rainbow crosswalk in the city's West End. Victoria Coun. Jeremy Loveday said the idea was sparked when he snapped a picture of Edmonton’s temporary rainbow crosswalk and posted it on social media. He said support for the project has been “overwhelmingly positive,” and that the crosswalks will help put the area around City Hall on the map. The president of Victoria Pride Society said it’s a sign that Canada and Victoria have come a long way in its acceptance of LGBTQ people. The city said the total cost for the three crosswalks was $14,000. The project was unanimously approved by city council. 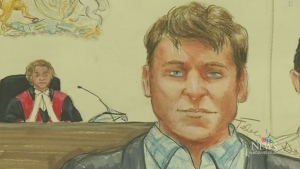 The coating is an industrial paint and plastic hybrid that is more durable and requires less maintenance than regular paint, a city spokesperson said. Victoria Pride Week kicks off Saturday and culminates in the annual downtown parade held on Sunday, July 5. What do you think of the new rainbow crosswalks at Pandora and Broad?